Beautiful Vintage Marta Maas Scandinavian Swedish Kilim Rug, Country of Origin / Rug Type: Scandinavia, Circa Date: Mid – 20th Century – This beautifully artistic vintage Marta Maas Fjatterstorm rug features a fascinating combination geometric designs paired with a colorful, yet understated soft color scheme. Soft dusky purple, green and natural tones are accented by two richer orange inner borders within this magnificent vintage mid century modern rug. 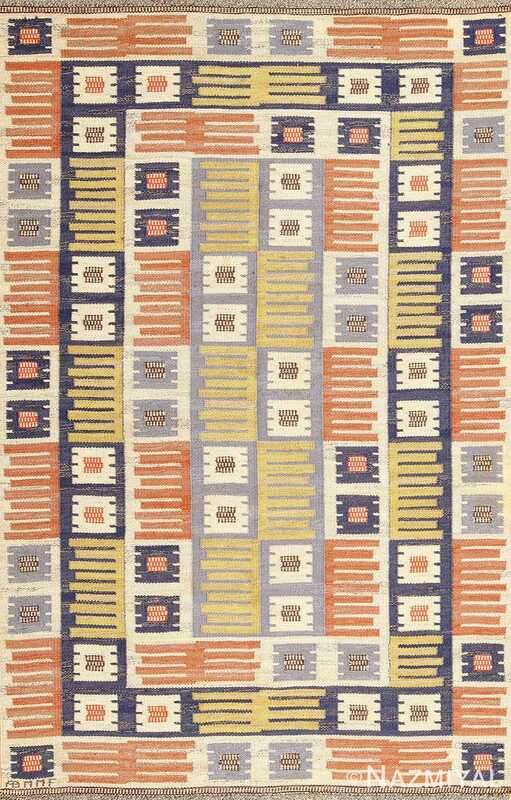 A lovely variegation softens the bold fields of color, while ivory lines zigzag across each section of the broad boarder. 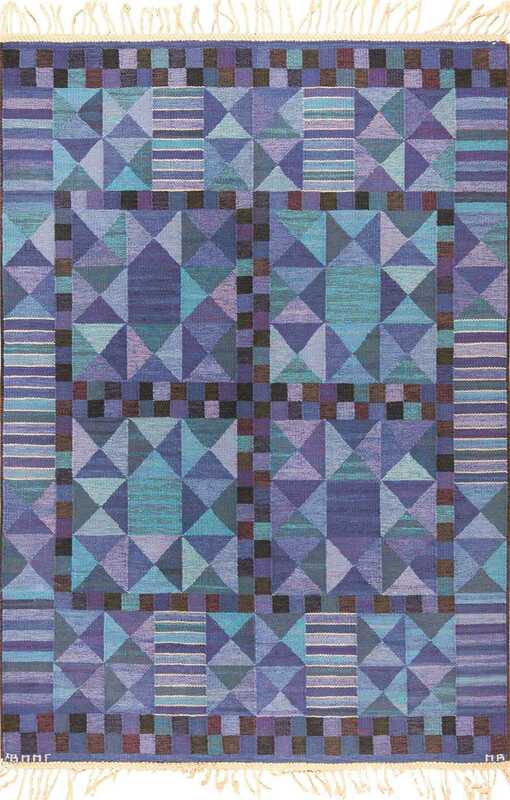 The block like medallions and sweeping, jagged lines bring to mind the motifs of the more tribal Native American Navajo rugs. 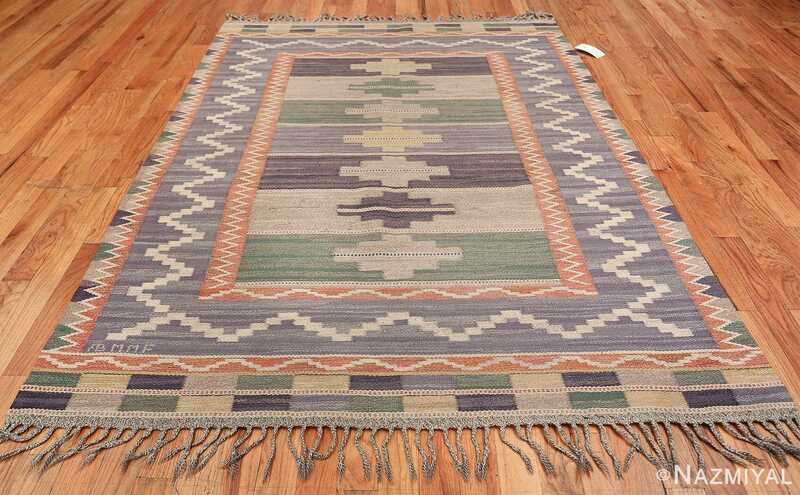 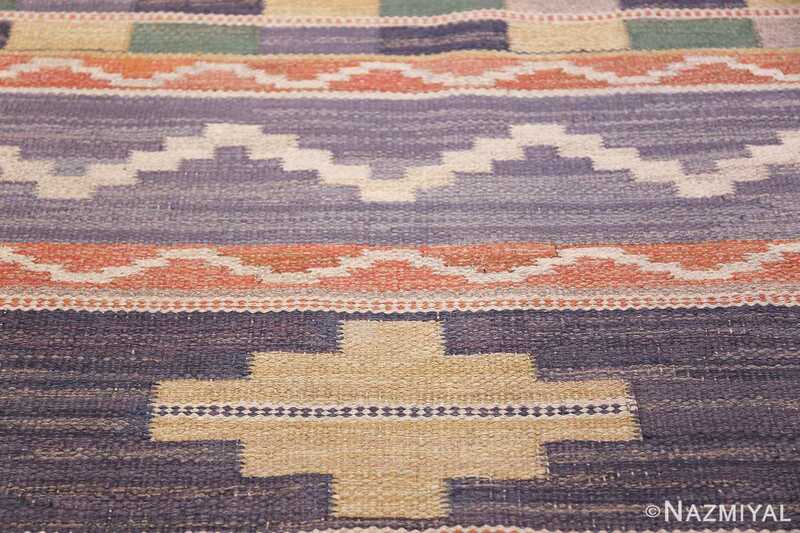 That said, the cool colors of this awesome vintage Marta Maas Scandinavian Swedish Kilim rug remain firmly reminiscent of a more western world landscape. 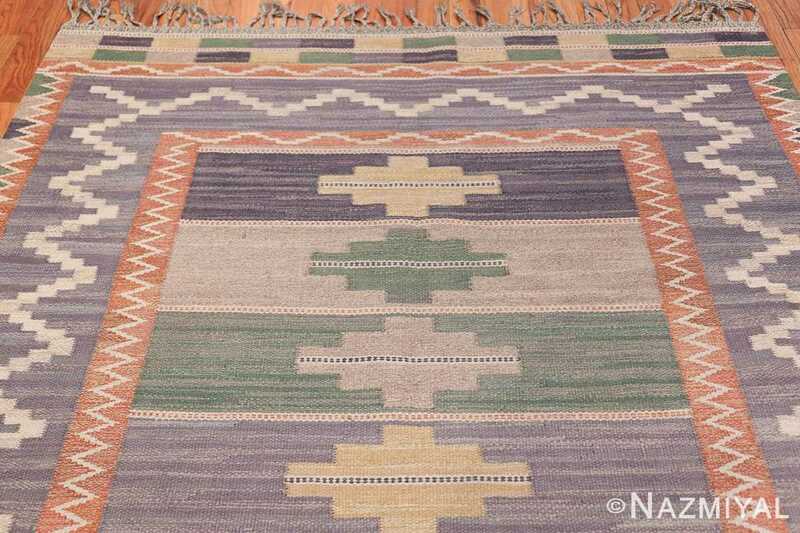 This flat weave rug boasts an impressively flexible design pattern. 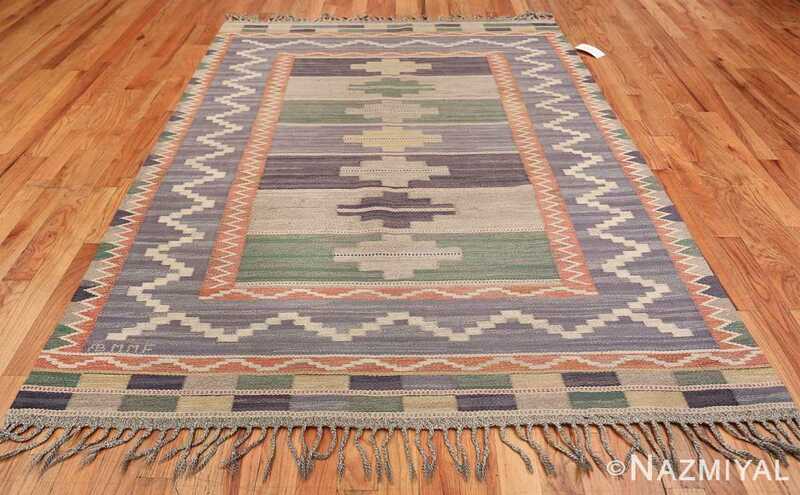 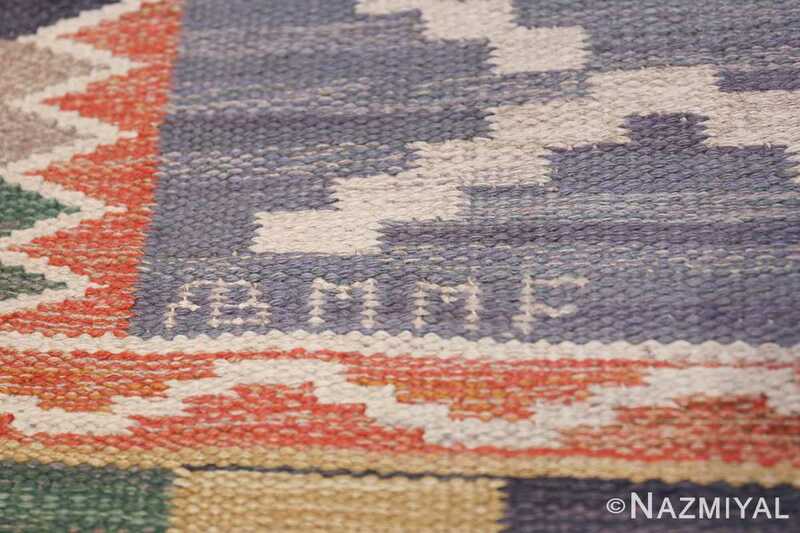 It’s an ideal kilim rug to tie together the look of an interior decorated room, or act as a more vibrant focal accent piece. Because this vintage Scandinavian rug has no pile, the design itself is extremely crisp. This makes the magnificent Swedish rug quite the pretty textile art piece. 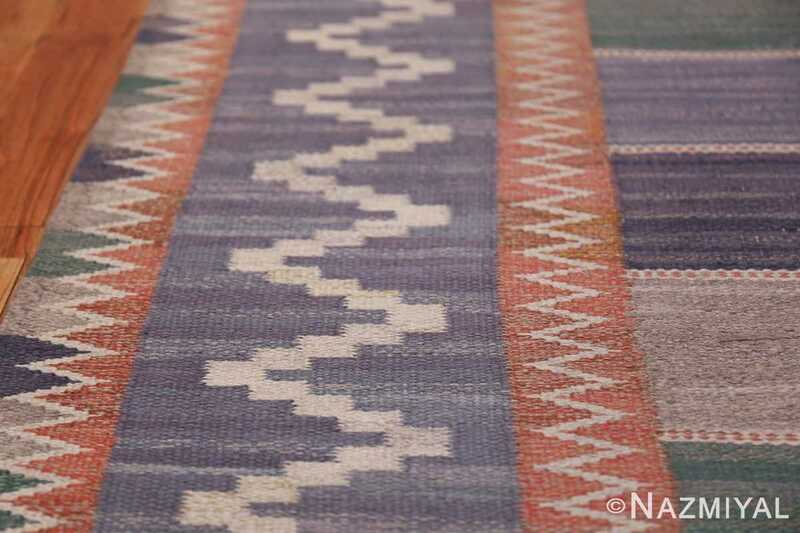 Throughout the history of Swedish Scandinavian rugs, these pieces were used for for a multitude of reasons and uses. From bed covers, to beautiful wedding gifts, the Scandinavian pieces were always considered to be more than just decorative items for the floor. 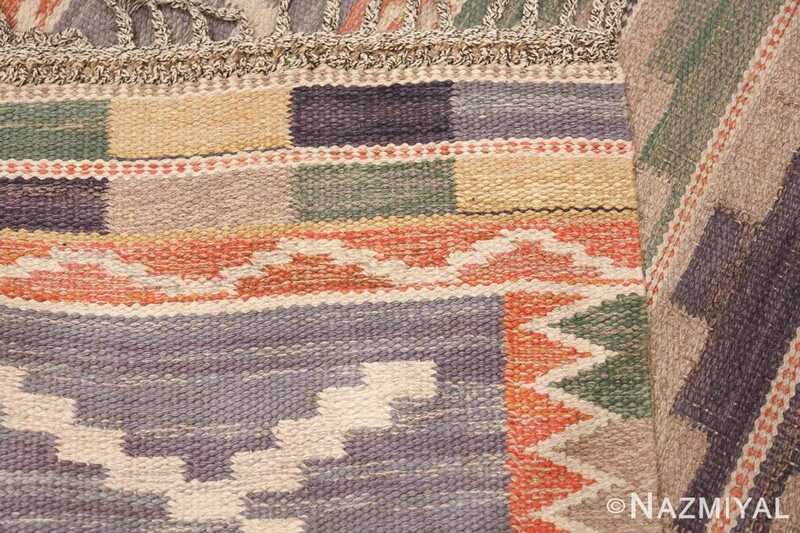 They were cherished as beautiful works of rug art. 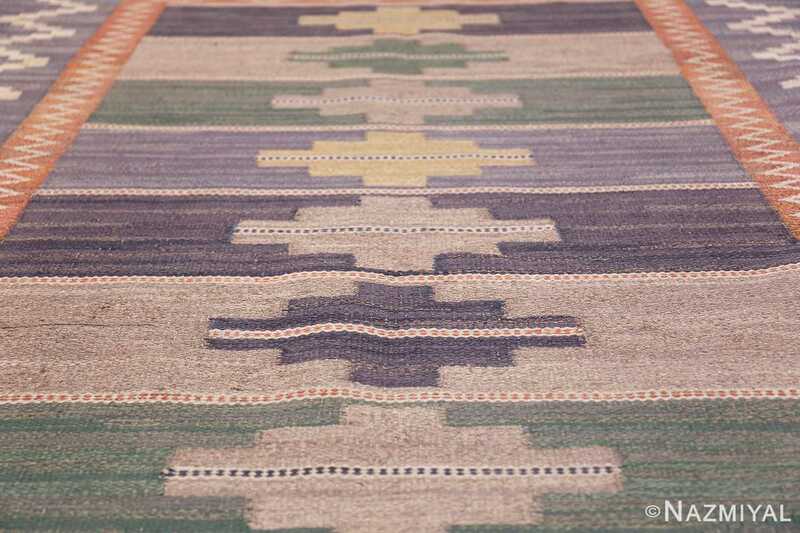 It’s easy to imagine the artistic impact that this beautiful vintage Marta Maas Scandinavian Swedish Kilim rug can have on its surroundings. 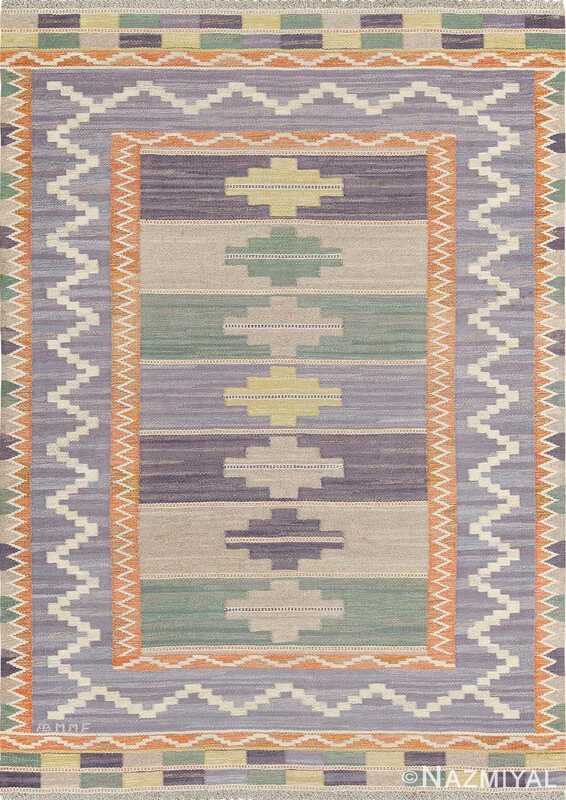 Its soft colors, combined with the more casual feel make it so easy to live with as well as decorate around. 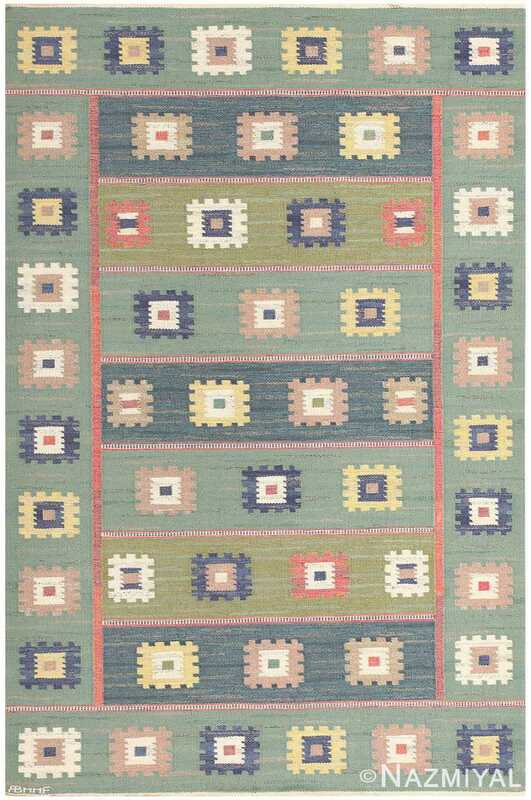 If you are looking to create a beautiful interior design using Scandinavian rugs then this is one great option. 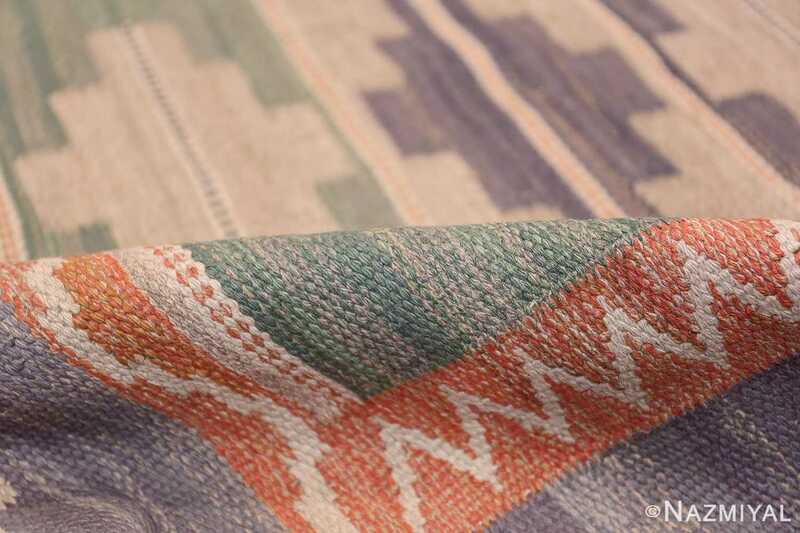 It can be effortlessly incorporated into any mid century modern interior design and most is sure be any easy choice for professional contemporary interior designer.